(a) The City’s local and collector streets are not designed or constructed to sustain consistent traffic by large trucks and other heavy vehicles and are susceptible to damage from excessive use thereby. (b) The City’s local and collector streets are typically narrow and their width is often further constrained by the presence of other on-street parking areas. (c) The City’s local and collector streets typically contain relatively small corner and centerline radiuses impeding the turning ability of larger vehicles. (d) The City’s arterial roadways are designed and constructed to higher road bearing standards than the City’s local and collector streets. (e) Widespread operation of large trucks and other heavy vehicles upon the City’s residential streets will likely cause extensive damage to street surfaces and require costly, repeated repairs at the City’s expense and would jeopardize vehicular and pedestrian safety. (f) Limiting truck routes established by this article will provide an adequate opportunity for truck circulation while simultaneously protecting local street. more expedient and effective emergency response in the event of an accident or spill. appropriate exercise of the City’s police power and will serve the public health, safety and welfare. (a) “City” means the City of Opelika, Alabama. (b) “Deviating truck” means a truck which leaves and departs from a truck route while traveling inside the City. (c) “Person” means any person, firm, partnership, association, corporation, company or organization of any kind. (d) “Semi-trailer” means a vehicle designed for carrying persons or property used in conjunction with a motor vehicle and so constructed that some or part of its weight and that of its load rests upon or is carried by another vehicle. (e) “Trailer” means a vehicle designed for carrying persons or property on its own structure and being drawn by a motor vehicle and so constructed that no part of its weight rests upon any other vehicle. (4) transports hazardous or radioactive cargo. (g) “Truck route” means a way over certain streets, as designated herein, over and along which trucks coming into, traveling in or going out of the City must operate. (h) “Truck tractor” means a motor vehicle designed and used primarily for drawing another vehicle and not so constructed as to carry a load other than a part of the weight of the vehicle and load so drawn. (i) “Vehicle” means a device by which a person or property may be propelled, moved or drawn upon a highway. Trailers, semi-trailers and truck tractors are considered vehicles. Except as otherwise provided in this article, the operation of a truck shall occur only and within the designated truck routes established pursuant to this article. Except as otherwise provided in this article, it is unlawful to operate a truck outside of the confines of a designated truck route. Point. When a Destination Point is not located immediately adjacent to a designated truck route, the vehicle operator shall access and/or depart from the Destination Point using the shortest and most direct City arterial route to and from the nearest designated truck route. (b) The operation of emergency and law enforcement vehicles. (c) The operation of any vehicle owned or operated by the City, a public utility or any contractor or materialmen while directly engaged in the maintenance, repair or construction of streets, street improvements or street utilities within the City. (d) The operation of any vehicle within and pursuant to any established temporary detour route. (e) The operation of any vehicle directly engaged in the disposal, collection or transport of waste, including, but not limited to residential garbage, recyclable material and/or debris, provided that this exception shall not apply to hazardous cargo or radioactive materials. (f) The operation of passenger buses, including, but not limited to, mass transit vehicles and school buses. necessary for the purpose of providing a direct service requiring the utilization of such vehicle or making pick up and deliveries of goods, wares and merchandise from or to any building or structure located on the restricted street, or for the purpose of delivering materials to be used in the actual and bona fide repair, alteration, remodeling or construction of any building or structure used upon a restricted street for which a building permit has been previously obtained. produce or animals to and from ranches or farms situated along a restricted street to be used by such vehicle. trailer used for recreational or non-commercial purposes and/or both to and from locations from a restricted street to be used by such vehicle. vehicle is required in providing an essential government service. SEC. 16-456. TRUCK TRAFFIC IN THE CITY. (1) One inside destination point. All trucks entering the City for a destination point within the City shall proceed only over an established truck route and shall deviate only at the intersection with the street, upon which such traffic is permitted, nearest to the destination point. Upon leaving the destination point, a deviating truck shall return to the truck route by the shortest permissible route. traffic is permitted. Upon leaving the last destination point, a deviating truck shall return to the truck route by the shortest permissible route. (1) Outside destination points. All trucks on a trip originating in the City and traveling in the City for a destination point outside the City shall proceed by the shortest direction over streets on which such traffic is permitted to a truck route as herein established. permitted intersecting with truck routes nearest the destination point. The Mayor is hereby authorized and directed to ensure that appropriate signage is posted and maintained advising the public of the regulations imposed by this article. appropriate signs as temporary truck routes, and the use of such routes shall be subject to the same conditions as set forth in this article for permanent truck routes. SEC. 16-459. PENALTY FOR VIOLATION OF ARTICLE. (3) For a third or subsequent conviction by a fine of $500.00 and imprisonment for not more than thirty (30) days. Section 2. REPEALER. Section 16-68 of the Code of Ordinances is hereby repealed.. Section 3. SEVERABILITY. 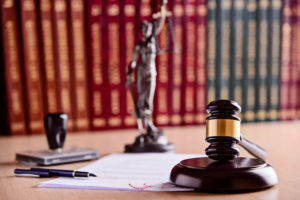 If any section, clause, sentence or phrase of this Ordinance is held to be invalid or unconstitutional by any Court of competent jurisdiction, such invalidity or unconstitutionality shall not affect the validity or constitutionality of any other section, clause, sentence or phrase of this Ordinance. Section 4. EFFECTIVE DATE. This Ordinance and the article hereby adopted shall take effect and be enforced immediately upon its adoption, approval and publication as required by law. Section 5. PUBLICATION. 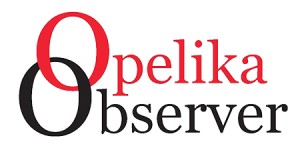 The City Clerk of the City of Opelika, Alabama is hereby authorized and directed to cause this Ordinance to be published one (1) time in a newspaper of general circulation published in the City of Opelika, Lee County, Alabama. ADOPTED AND APPROVED this the 2nd day of October, 2018. TRANSMITTED TO MAYOR on this the 3rd day of October, 2018. APPROVED this the 3 rd day of October, 2018.